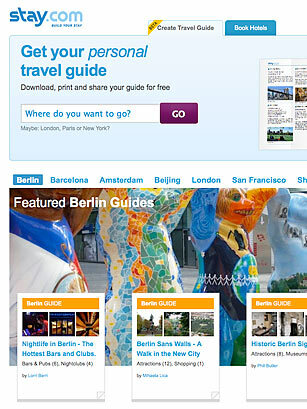 The Internet is chock-full of travel websites, and yet people still lug around guidebooks when they go on vacation. Why not save the storage space and plan your trip online? Stay offers recommendations for hotels, restaurants and tourist spots, and sorts them by popularity, price and location. The ones you select get compiled into a handy guide, with all your destinations plotted on a map that you can fold up and put in your pocket while you sightsee. You can also share your guide with friends to make them jealous of all the fun you're having on your trip.